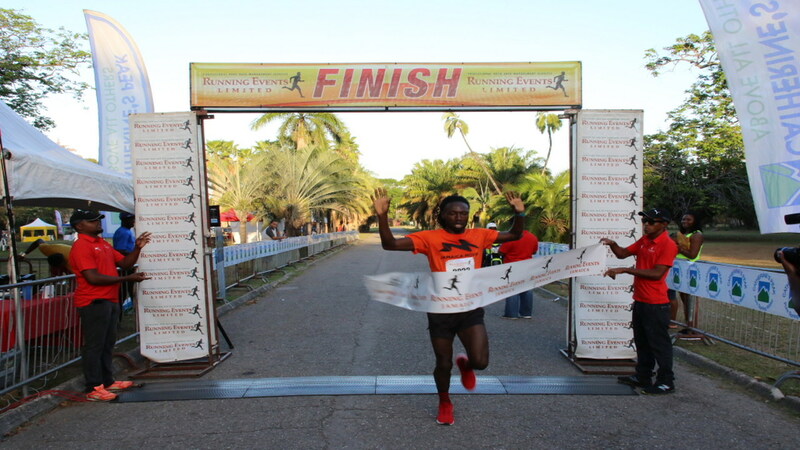 Kemar Leslie and Olivia McKoy emerged male and female winners, respectively, in the 5K run at the ninth annual staging of the Everyone’s A Winner/Running Events race series at the Hope Botanical Gardens on Sunday. 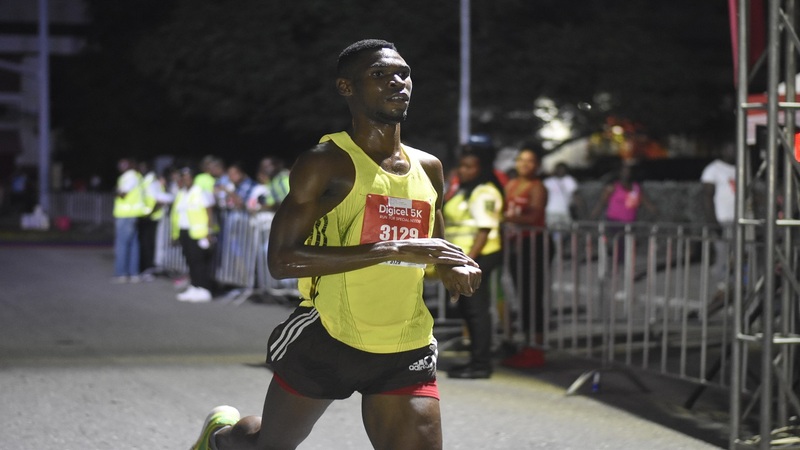 Leslie crossed the finish line in 16 minutes and 45 seconds to take top honours in the male 5K category ahead of Horace Burey (17:43) and Lucan Banton (18:25). Mckoy stopped the clock in 21 minutes and 55 seconds to win the female 5K category. Annakay Edwards was second in 23:55 while Aileen Corrigan finished third in 24:06. 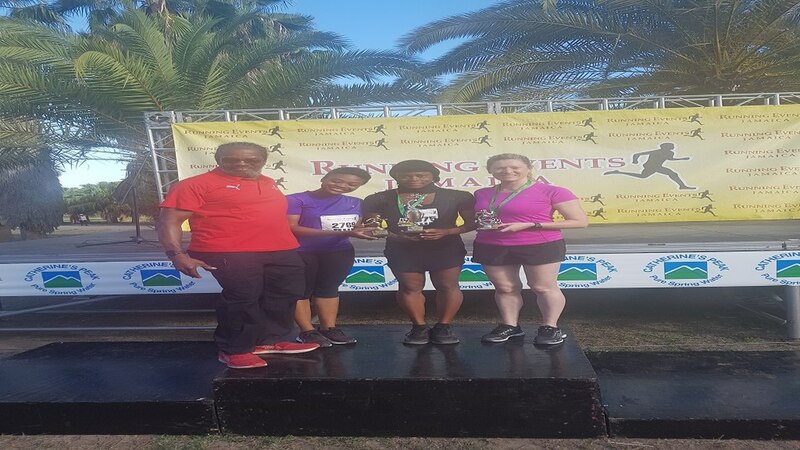 (From left) Race director Alfred Francis with 5K first runner-up Annakay Edwards; winner Olivia McKoy; and second runner-up Aileen Corrigan on the podium during the awards ceremony. 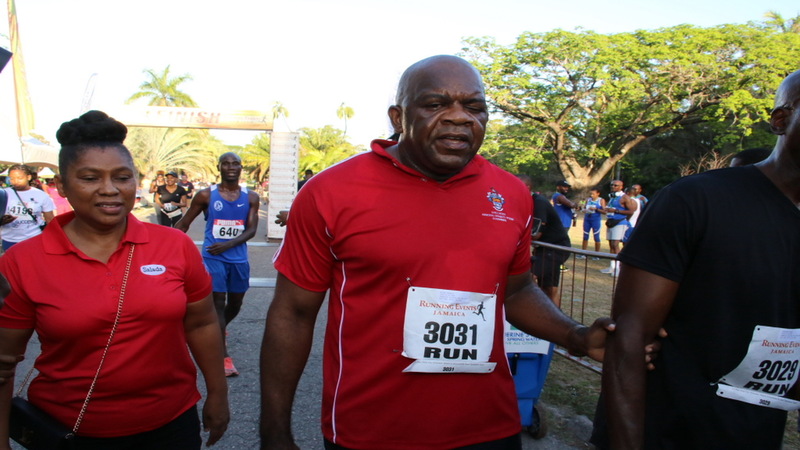 In the 10K run, Henry Thomas won the male category in 34 minutes and 54 seconds ahead of Taffawa Dunchie (36:52) and Kosiani Dunkley (37:04). Llori Sharpe was the top female runner in the 10k, crossing the finish line in 42 minutes and 42 seconds. Jozanne Harris (47:40) and Kemi Igbon (47:44) were second and third, respectively. 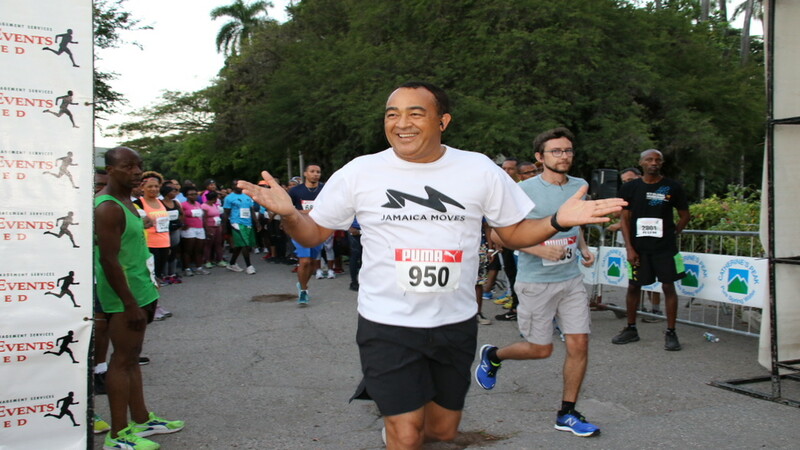 The event - which also included a 3K Run, 5K Walk and 5K Stroller race - raised funds and awareness for the blind and visually impaired community. 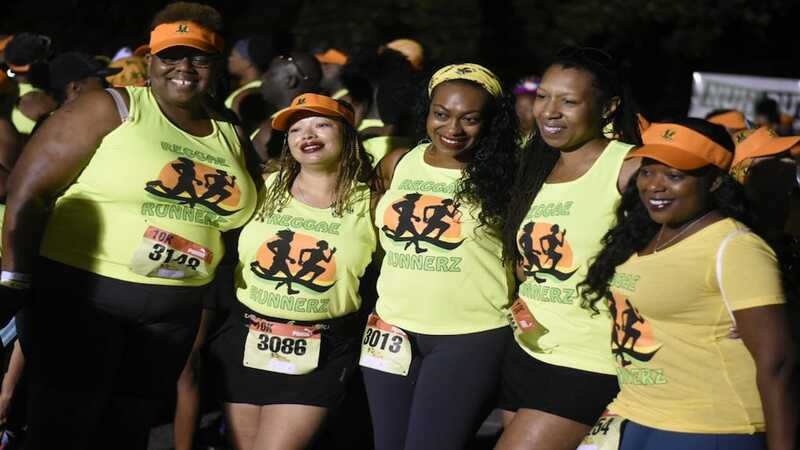 The 3K Run was introduced this year to, according to race director Alfred Francis, "enhance the attractiveness of the event for those who may not be able to complete the 5K and to facilitate the younger members of the family." 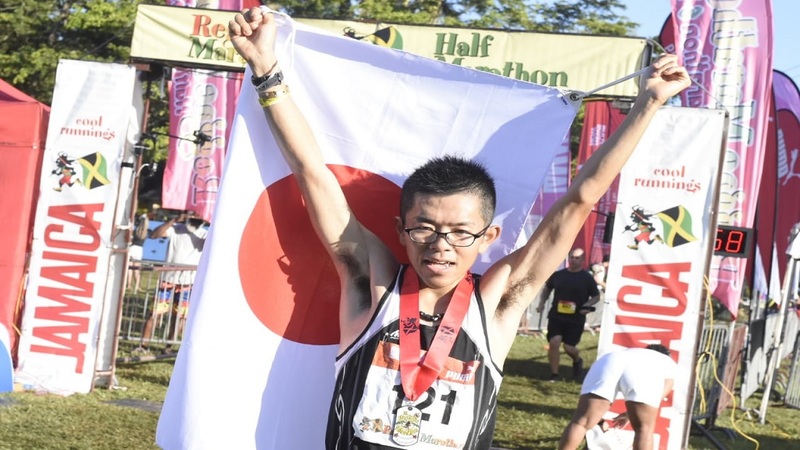 Fifteen-year-old Daniel Garvey won the male 3k category in 13 minutes and 45 seconds while Abigail Corrigan, 11, crossed the finish line in 18 minutes and 59 seconds to emerge winner in the female category. See more photos from the Everyone’s A Winner/Running Events race series in the photo gallery below.